If you've ever cooked a meal and added fresh rosemary from your garden then you know how wonderful it is to have a little herb garden right outside your kitchen door. Fresh herbs have a way of transforming a bland dinner into a meal fit for a king. With the number of small housing and apartment complexes having increased dramatically over the past few years several people that I've met have started either a small herb garden or a tiny vegetable patch in their little back yards. Kerry-Anne and I've tried to do this several times but we never seem to keep a handle on it and the poor patch of plants invariably either overrun (in the case of the hardy plants) or fizzle away into dried up stalks. 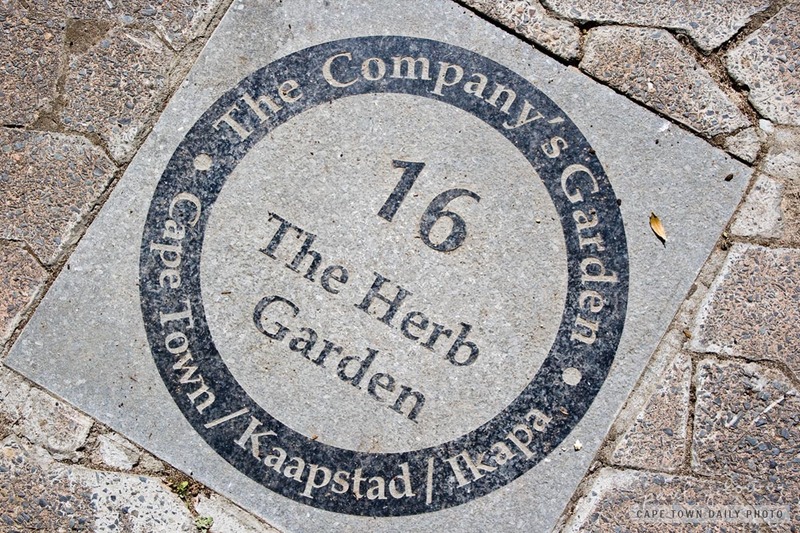 Do you have a veggie or herb garden at home, and if not, are you considering starting one? Posted in General and tagged plants, sign on Tuesday, 30 November, 2010 by Paul. 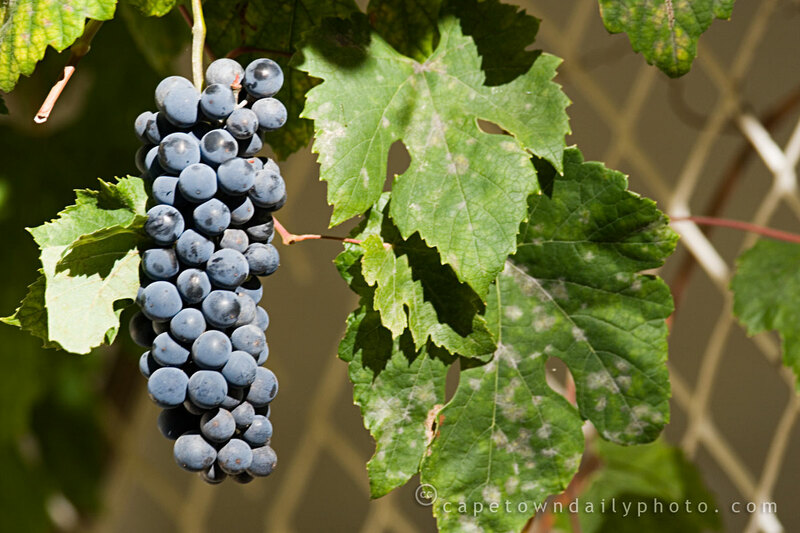 On 31 October of last year, I posted a photo of the first super-tiny bunch of grapes to start growing on the vine covering our patio. This bunch is one of the fully adult, yet relatively small, bunches of grapes to materialise from the baby-bunches that I photographed in October. Posted in General and tagged flora, plants on Tuesday, 10 February, 2009 by Paul. 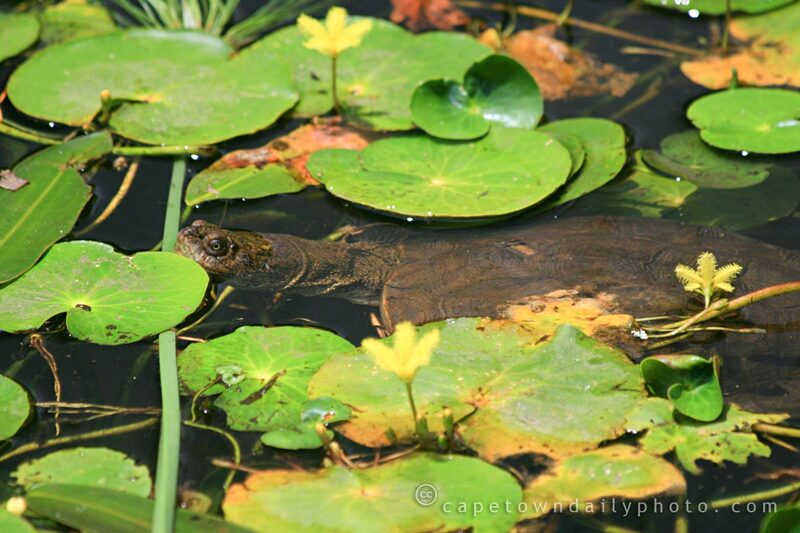 I wonder how many visitors to the Kirstenbosch Botanical Gardens know that there are turtles hovering in the ponds, keeping a beady eye on passersby. Shortly after I took this photo Mandrake (the turtle in question) swam to the side of the pond, giving chase as I slowly, and then slightly more rapidly, backed away. As it turns out Mandrake wasn't really after me, or my pointy camera. He headed straight past me towards the pathway - for what purpose I'm not sure. It seemed as though even he was perplexed when he reached it! I understand that peak turtle breeding season is coming to a close, so perhaps he (or perhaps she) was just trying to look as fierce as a turtle is able to look. Posted in General and tagged animals, plants on Monday, 9 February, 2009 by Paul.